Service was extremely quick. I can't use the code though. As promised, code received within 10 minutes. Received two codes, last ones able to unlock my HTC U11 Softbank. Unlocking instruction for HTC U11 ? 1. Start the device with an different simcard inserted (simcard from a different network than the one that works in your HTC U11). Please copy all important data from your HTC U11 before you try a factory reset, because they will get deleted in the process. Can you unlock htc U11 for free? 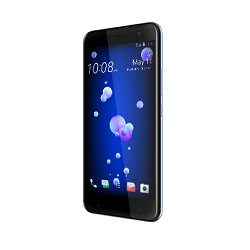 You can find many free HTC code generatores for your HTC U11 on the web. Code for HTC U11 is based on the IMEI number. Only negative was the time difference between the website saying the unlock code was available and the time to deliver the code, but that could have been down to the email system. Other than that extremely happy with the service, excellent value for money. Super easy and fast to unlock my HTC U11 from Japan. Envoi du code assez rapide. Very quick coming back with my unlock code less than ten minutes and very reasonably priced .very happy with the service. Used on 2 devices. Has worked both times. Reasonably priced, reliable service. First Class service, Thank you now i can use my phone outside of Europe without paying over the top roaming prices. Fast and accurate...Value for money.